OK, we’re not about to sugarcoat anything here: Staying on top of trends — particularly hair trends — is tricky. Some trends stick around for a long time, but others flicker and fade as quickly as they came (cough, feather hair extensions, cough). So, the zillion dollar question is: How can you predict what trends are about to be hot so you can get the most mileage out of them, instead of hopping on board just as they’re out the door? When it comes to new hair trends, you want to be fashionably early. 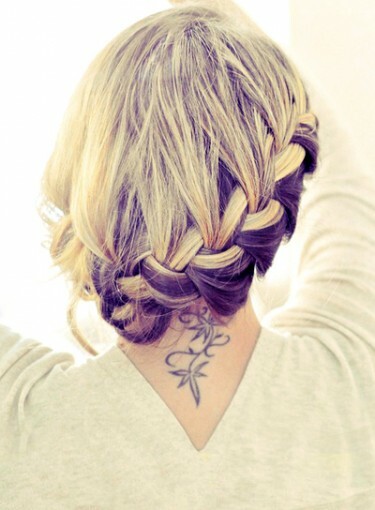 Click here to see the hottest hair color trends for 2013. In order to know what’s about to be the next big thing, you’ve gotta have some insight from the inside. So when we wanted to know the 2013 hair color trends, we went straight to celebrity hair colorist and all-around color expert Debi Dumas of the gorgeous Byron Salon in Beverly Hills, Calif.
How exactly does Dumas gauge what color trends will take off? “I take more into consideration than just hair color. I look at what hairstyles are gaining popularity, but even beyond hair, I look at fashion. They all work together.” Based on what she’s seen, Debi gave us her top five predictions for 2013’s hottest hair colors. Dyeing to know (sorry, had to) what hair color trends will be huge this year? Keep clicking.